Lloyd Abrigo or Lloyd Kevin Co Abrigo, is the son of William So Abrigo and Adela Abrigo, the owners of Ergocha Milk Tea House. This is the store on Bustillos Street, Sampaloc, Manila where two people had died of poisoning, including William Abrigo, himself. Lloyd Abrigo graduated from De La Salle University in 2012, with the degree of Bachelor of Science in Accountancy. He was a consistent dean's lister in the said university. He passed the CPA Board Exams in May 2013. Lloyd was also deeply involved in his parents' 1 year old milk tea business. On October 3 2014, he sought help from a marketing forum site on how to go about the "branding strategy of their business which sells milktea, hamburgers and other sandwiches." On October 6, he continued to post on the same thread, saying, "The name of our business is ErgoCha, which is the short for Ergogenic Tea. We are emphasizing the health benefits associated with tea, as well as the grilling of our hamburgers." He also said, in another post: "We are using a cost leadership strategy and are selling delicious products at a low price, which resulted to many repeat purchases from old customers. Despite satisfying the taste of our customers, we continue to invest heavily in research and development in order to make our Company one of the leaders in providing affordable milktea and sandwiches to the people. 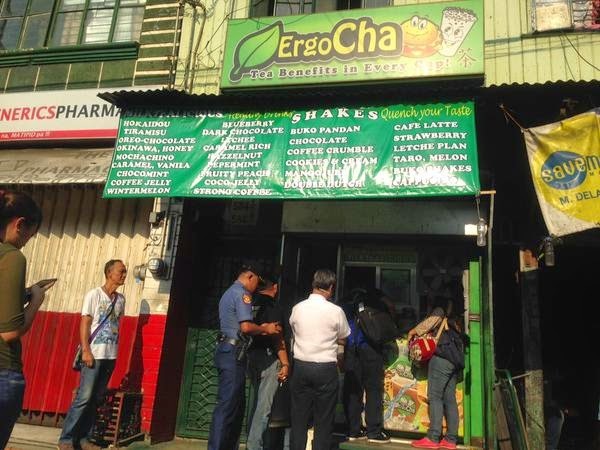 We are targeting the low-income earners by selling food products that tastes closely with more expensive establishments at a much affordable price." Curiously, we wonder if mixing chemicals, is part of Lloyd Abrigo's research and development for ErgoCha. ...di naman siguro. they are most probably victim of circumstance..